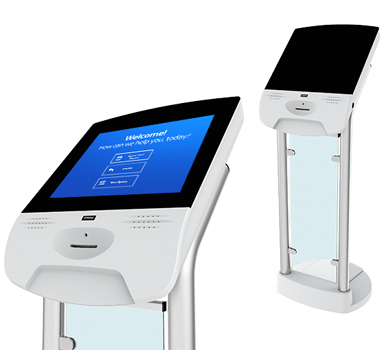 To date, the use of information terminals or kiosks for various purposes is widespread. Kiosks are many social groups, industry organizations, budgetary institutions. Among them, the railway and bus stations, travel agencies, shops, hospitals, museums, law enforcement and tax authorities. With the help of this equipment is convenient to pay fines, utilities, access to the Internet in public places, carry out e-commerce, to obtain the information needed in a particular structure, which at that time used this or other equipment. In connection with the computerization of education became topical use of information kiosks and schools. Information kiosks replace the boards with the schedule, information stands, allows to systematize the information about the learning process, provide an opportunity to promptly notify the students about events and news to attract the attention of parents of future first-graders. That is, information kiosk can become a centralized source of information, affecting all aspects of the learning process. But without a dedicated software information kiosk to work, of course, will not. Software exists today is not sufficient for opportunities information kiosks installed in educational institutions. In addition, the software is expensive. From here there is a contradiction between the urgency of use in the educational process of information kiosks and insufficient development of the software for their effective work. This is what determines the relevance of the study .